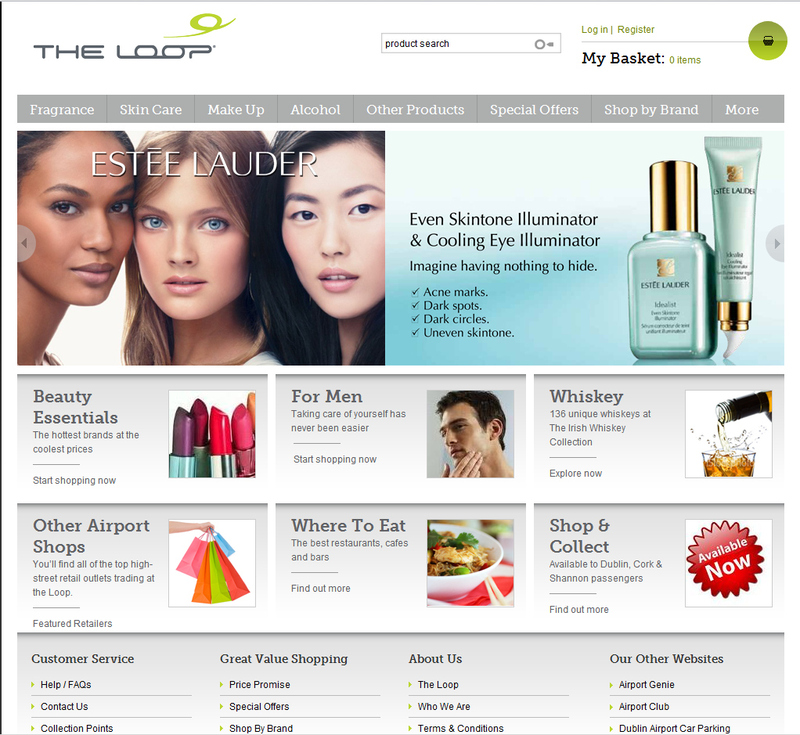 Great news for airport shoppers and very bad news for purses and wallets is the launch of The Loop.ie, Irish airport shopping's new online store. Gone are the days of red-eye flights meaning missing out on beauty goodies or sneaky discount purchases and no longer will haring through security, late for your plane mean mournful glances at the shops full of goods. Designed so that you can shop from the leisure of your home between 24 & 48 hours before your departure flight, The Loop.ie offers over 4,000 products with a double the difference price promise, meaning they won't be beaten by high street prices. I managed to pop along to the launch last night and while having a chat with one of the lovely gents realised that, as brilliant an idea as this is, it will mean great things for passengers flying from Cork and Shannon too. Not best known for their selection of brands in the smaller airports, the introduction of theloop.ie means that all brands are now just a click away for everyone. Good news, right? Customers ordering their shopping in advance will also have the option of Shop & Collect once they pick up their goods before their outbound flight (any time from 4am! ), meaning you can jet off on hols and once you come through Arrivals again you will receive a reminder text to pick up your purchases. How about that for a little help to deal with the post hollier blues? The coming weeks will see MAC join with the lengthy list of brands already available, it will be the worlds only airport online MAC retailer (quite the beauty coups). I'm only hoping against hope it happens before my upcoming flight to London. No more rushing through MAC buying ALL the things in a hurry. I can tell theloop.ie and I are going to be friends. What do you think? Do you reckon this site is as dangerous good an idea as I do? This is definitely handy, might have to do a bit of my shopping here before i jet off to the States in November! !